One of Northern Ireland's largest independent plumbing and heating merchants has acquired Essex-based SX Heating and Plumbing Supplies. The deal marks 60-year-old Beggs and Partners' first investment into the market in England. SX Heating and Plumbing Supplies Ltd has four branches which have operated in the Essex and London region for over 10 years. Ian Beggs, director of the company, said: "Beggs and Partners have 60 years of solid merchanting experience in our home market and despite the 2008 downturn we have seen consistent growth year on year. "Our core objectives are built on the fundamentals of supplying the highest quality goods, at the best value prices, with professionalism, expertise and unwavering customer service. "We saw immediately a natural alignment with SX Heating and Plumbing and understood the real opportunity to develop in a new market. "Not only will this move bolster business for Beggs and Partners, it will also underpin jobs and encourage future growth throughout the organisation." Mr Beggs said the move comes after 18 months of planning and will increase operating outlets from six to 10 depots and boost turnover by a third to over £40m. 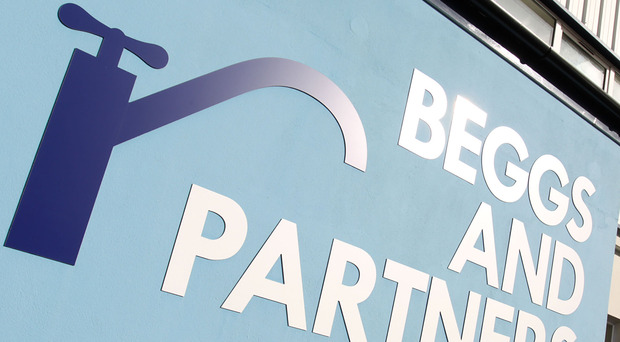 Beggs and Partners currently employs 120 people throughout six branches here and the acquisition of SX Heating and Plumbing Supplies will see that number rise to 160 employees with prospect for further growth. Beggs and Partners was founded in 1960 in Great Patrick Street in Belfast by the late William Beggs and his 'partners' - Stanley McMullen, David Moorhead and Arthur Robinson with just eight employees. Today it has sites in Belfast, Ballymena, Lisburn, Maghera, Newtownards and Portadown. It underwent a rebranding process in 2014.